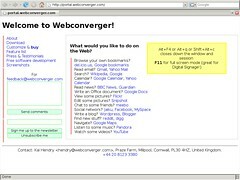 When I studied at Bath University, the computer science software project was to implement a PIM suite. I laughed and joked as I thought to myself, this would be easy. There are hundreds of examples of addressbooks and calendars. Simple stuff, I thought. I wrote a PIM suite with the help of Microsoft VB and it sucked. It basically did what is supposed to do, but it was “throw away” software. I learnt a lot. Couple of years ago I advised it was a bad idea to re-implement (or port) PIM applications for a certain mobile device linux platform, while I was working for a Japanese company. One year ago I suggested the same to the Openmoko project. They still went ahead and implemented their own PIM applications for their platform. And now judging by the Gnome mobile project, Ubuntu will effectively do the same. I find this so odd and frustrating, especially since the Guadec ‘07 keynote was all about how their making their “desktop” more Web integrated. Just use a browser! It seems like they are encouraging developers to use C, C++ and Python. No, you should be encourage developers to write Web applications, like the iphone. 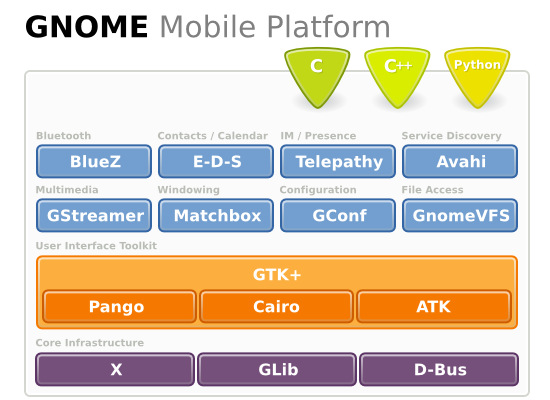 At the bottom of http://www.gnome.org/mobile/ there is hope… under Technologies for Consideration they list a gecko mobile build and webkit which was well implemented on the S60 as the ‘Web’ browser. 3rd party Web application PIM services won’t suffer too much from the constraints of the mobile device. I am hoping the days of using buggy, limited mobile PIMs that tend to lock up your data are numbered for users. And mobile platform developers can just concentrate on providing a great Web experience instead of wasting time developing, maintaining and supporting a “broken by design” PIM suite.